Twenty years ago science seemed simple: If a few Randomized Controlled Trials (RCT) give significant results you have scientific proof that a method works. In 1991 the first meta-analysis of homeopathic trials showed that proof for homeopathy is as good as for conventional medicine. Coincidence or not, since then RCT is no longer a method without flaws. There are bad RCT and positive homeopathic RCT must be bad. Why? 1. Homeopathic doctors expect the same results from a homeopathic potency of a medicinal substance as from a pharmaceutical dose. Vandenbroucke states: “Microbiologists know for sure that infinite dilutions of an antibiotic will never show any effect on bacterial growth”. RCT is an experiment where you want to optimize the possibility to discern verum from placebo. Any social circumstance can effect this possibility. An attractive experimental opportunity is a marathon; it is limited in time and the same for all participants. So we measure the effect of homeopathic Arnica or Rhus toxicodendron on muscle soreness after a marathon. But is this illness? We think that a homeopathic medicine stimulates the defense mechanisms by a stimulus that resembles illness. Marathon runners however, are highly trained; what is there to stimulate? Many of us have the experience that we must stop a homeopathic medicine after some period because the complaints become worse again. Then the complaints subside, apparently the patient is over-stimulated. There have been four high quality trials testing Arnica for this indication and it appeared that muscle soreness was less in runners taking placebo (nearly significant). This could be proof for the possibility of over-stimulation by homeopathic medicines, but to our opponents it is proof that homeopathy does not work. Another way to optimize the experiment is to measure the effect on something that can be easily measured like plantar warts. This indication was tested for the homeopathic medicines Thuja, Antimonium crudum and Nitricum acidum in a highly qualified RCT by Labrecque et al. The outcome was negative; does this mean that homeopathy does not work or that these three medicines are not the optimal choices? Needless to ask our opponents. 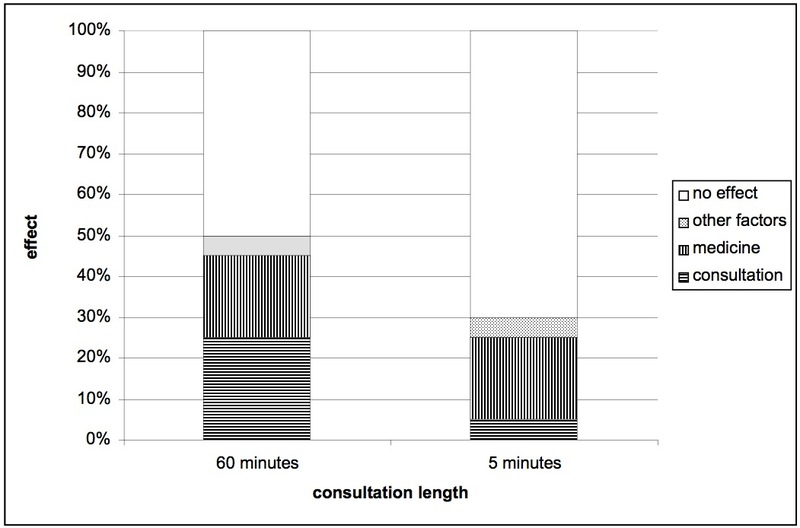 These results suggest that every RCT should be prepared in this fashion. This could take several years. Such a preparation fulfills the same role as phase I and phase II studies in conventional medicine. But then there is still the problem that our ma medica and repertories are largely based on expert opinion instead of scientific research. This problem resembles conventional diagnostics: we know from expert opinion that night-sweat could indicate tuberculosis, but scientific assessment should indicate how strong the indication is. Here Bayesian science comes to help. The bayesian principle is in fact quite simple: a diagnostic test is better as it is positive more frequently in people with the disease than in other people. Hahnemann also made this observation and in the same fashion he concluded that rare and peculiar symptoms are the most valuable symptoms. Likelihood ratio (LR) expresses the relation between the prevalence of the symptom in the population with the illness and the population without the illness. In the homeopathic translation: the relation between the prevalence of the symptom in the population cured by a certain medicine and the rest of the treated population. This is a normal procedure in homeopathy. The patient visits the doctor because of joint pains. The homeopathic doctor then asks about circumstances that influence the complaint. If the patient tells him that the pain is ameliorated by motion, the homeopathic doctor thinks of Rhus toxicodendron as one of the possibilities. If further investigation learns that the patient has a definite desire for cold milk his expectation that Rhus toxicodendron will help grows. The last symptom, aggravation from wet weather, is subsequently enough to prescribe this medicine. The entry of Anacardium should be upgraded, probably to bold type (p=0.938, the p-value in the table is the probability that LR>1.5). The bold entry of Calcarea carbonica is incorrect, plain type might still be correct (p=0.675), but even that is uncertain. The same goes for Phosphorus (p=0.699). Lycopodium still might be possible, but plain, not in Italics (p=0.599). Natrium muriaticum should not be in this rubric. 13 Van Wassenhoven M. Towards an evidence-based repertory: clinical evaluation of Veratrum album. 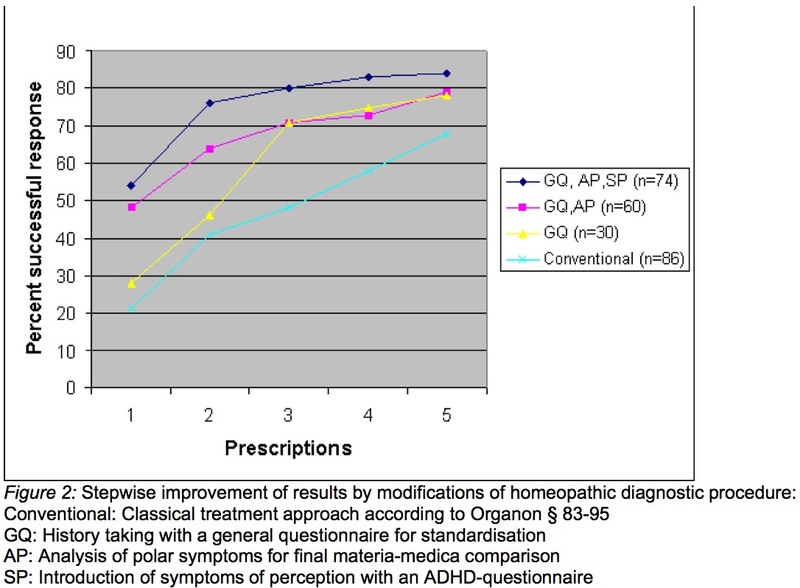 Homeopathy 2004;93(2):71-7.